Fishing is one of the most exciting ventures that you can be involved in. It can be a sport, a hobby or even a profession. However, in order to succeed, you will need to have the right fishing gear. One of the most significant items that you need to have is a spinning reel. 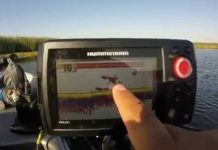 This would go a long way in helping you catch big fish and have a productive fishing expedition. When you have the right spinning reel, you will enjoy every moment of the fishing. The challenge, for most people, is finding the best spinning reels. There are so many models on the market and each one of them claim to be the best. You may end up being confused and not really know which one would work for you. 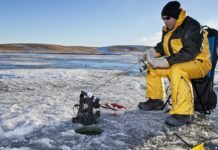 This is the main reason we have gone out of our way and reviewed the top spinning reels so as to help you make an educated decision on the specific model to buy. 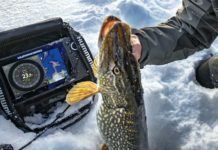 You will not want to end up with a reel that gets stuck or tangled during fishing or one that will start rusting after a few times of use. So before we get into the specific models on the market, we need to understand what you should look out for when shopping for a spinning reel. Line Capacity and Size of Spool – There are about 4 different sizes of the spinning reels and it would be prudent to establish what size you will need. For most models, the line capacity will increase as the spool size increases. Also, consider if you want a line spool that has both monofilament and braided line. 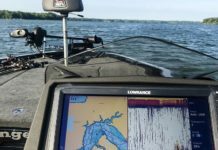 The Drag System – If you are working with the larger spinning reels for catching bigger fish, the drag system is quite important. The drag system should be smooth as this will help you catch bigger fish with a smaller line. Check if the reel has a front or rear drag and the controlling knobs for each model. In most cases, the spinning reels that are too cheap have low-quality reels. Recovery Rate of the Line – This refers to the amount of line that the reel will take on the spool for every single turn of the handle. This is measured in inches and there models that recover more inches than others. Anti-Reverse – This is a very important feature as it will prevent the reel handle from unwinding when you do not intend it to. This a great safety feature especially if you are a novice angler. Bearings – The smooth movement of your spinning reel is facilitated by the bearing. An ideal spinning should have about 4 or 5 bearings, which will make it work effectively. The reel should have bearings on the main gear and main handle shaft and others for the roller bearing and anti-reverse. Overall Construction – The construction of the fishing reel is quite important. This is what will determine its strength and durability. You should look for a reel that has a carbon or aluminum frame as this will give you the durability you deserve. This model comes with 3 ball bearings and a roller bearing, which gives you a smooth fishing experience. There is a twist buster line which will prevent any cases of the line getting tangled when you reel fish. It is also fitted with a micro-click drag system, which will help you reel larger fish. The gyro-spin rotor is well balanced and as such, the line will not wear down easily. The spool is made of ABS aluminum, which gives you the maximum longevity. This is a high-end spinning real, which is affordable. The Okuma Avenger comes with a bait feeding system that will disengage the spool, without having to open the bail. As such, the line can flow free with just the reel. The anti-reverse feature is pretty fast and east to set up, and therefore you will not have to worry about the line getting tangled. There is a multi-disk drag system that has drag washers that are Japanese-oiled. This gives you a smooth flow, in collaboration with the 6 bearings. The overall construction makes it easier to operate and it will also last for a very long period of time. This is a hybrid reel that comes with an exceptional spool design. The aluminum lip and graphite arbor will enhance the longevity. There is an accurate dual force drag system in that it used both sides of this spool. 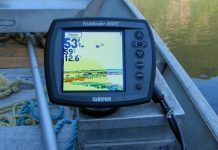 This will allow you to fish more efficiently. There is a Quick-set anti-reverse system with a roller bearing and this will ensure that you do not get any backlash when reeling. The overall weight is manageable and quite stable making it easier to fix it on any type of fishing rod. The drag system on this reel is quite impressive as it has washers that are keyed to the spool. The washers are made of carbon fiber and as such, you will get exceptional durability. In addition, the reel is smooth as it comes with 6 bearings, which gives you a higher range drag. This Penn Battle II is made of a full metal body that will last for a long time as it is durable. There is an anti-reverse bearing, as well, that works instantly to prevent any cases of tangling of the line. The aluminum bail wire is strong enough to catch big fish. If you usually fish in saltwater, this is the model to go for as it made of aluminum and steel which is resistant to corrosion and quite durable. It also has 8 bearings, which enhance the overall efficiency. The smooth operation is also supported by the fully machined CNC gear train. It has a Techno-balanced rotor which will give you better results. The anti-reverse system will give you great stability as it will prevent the line from getting tangled. There is a soft grip handle which is quite comfortable to the hand. The wave spring on this spinning reel will grant you a full drag. This is one of the spinning reels that can handle any size of fish comfortably. It has a stainless steel bearing system and is pretty light. It has a graphite body, which is resistant to corrosion, making it the perfect model for any fishing environment. With an infinite reverse system, you will be able to inhibit any occurrence of any tangling of the line. There is a capacity line ring, which will inform you when the line is full. It also comes with adjustable knobs that you can use with either hand. The spool is machined and made of anodized aluminum. With a total of 9 bearings, the Pflueger President spinning reel will guarantee you of a smooth operation. In addition to this, it has an instant anti-reverse system, which has a one-way clutch to prevent any tangling of the line. The spool is made of anodized aluminum, making it light and durable. This is known for its reliability and amazing features. All the components are the best on the market and it can support fish of up to 4 pounds without breaking. It goes as far as 100 yards, which is quite a comfortable distance. The Shimano Sienna has a graphite frame which is quite durable and can resist corrosion. If you are looking for a spinning reel to use in saltwater, then this would be the ideal choice. It comes with a Super Stopper II anti-reverse that allows you reeling without any backlash. The rotor, side plate, and frame are all made of graphite. However, the spool is made of aluminum, which gives this model a light weight. With the combination of these features, you can safely conclude that this is the perfect mode for those who fish in different places. With this spinning reel, you can fish in any area that you want and it has an excellent drag, which will prevent any snapping of the rod. This also makes it easier to access the line in a speedy manner. The maximum drag on this reel is 6 pounds, which is quite huge. There are 5 bearings, which enhance the smooth flow when reeling fish. With a gear ratio of 6:2:1, you can definitely handle bigger fish without a problem and in a faster manner than other reels on the market. It is quite light as it weighs less than 10 pounds, which makes it comfortable to handle. If you want a durable spinning reel, then you should consider this particular model as it comes with a full metal body. There are 13 + 1 ball bearings that will facilitate freshwater as well as saltwater fishing. The spool has an excellent design as well and is made of metal as well. You can easily interchange the handle between your right and left handle as it collapses easily. The cast control has an audio alert and is fully adjustable and the line lay oscillation system will prevent any cases of line tangle. This is perfect for any type of fishing as it is also quite light, yet durable. There you have it; the top models and best spinning fish reels. With the factors highlighted above and review of the top models on the market, you should be able to make an informed decision on the specific model that will appeal to your needs in the best way possible. You should ensure that the specific model of spinning reel you choose to buy will serve your needs perfectly. Always go for a durable reel and one that has a smooth operation and you will enjoy every single bit of your fishing adventure.